Itineraries - Rates - Deck Plans coming soon! The M/V Amazon Clipper is part of the traditional Clipper Fleet which contains several boats with similar comfort and facilities, such as air-conditioned cabins with private toilet, covered dining room with bar and library and a 360° view sundeck. 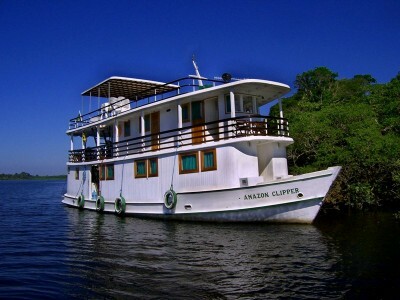 An Amazon riverboat with traditional lines, the M/V Amazon Clipper accommodates 16 passengers.